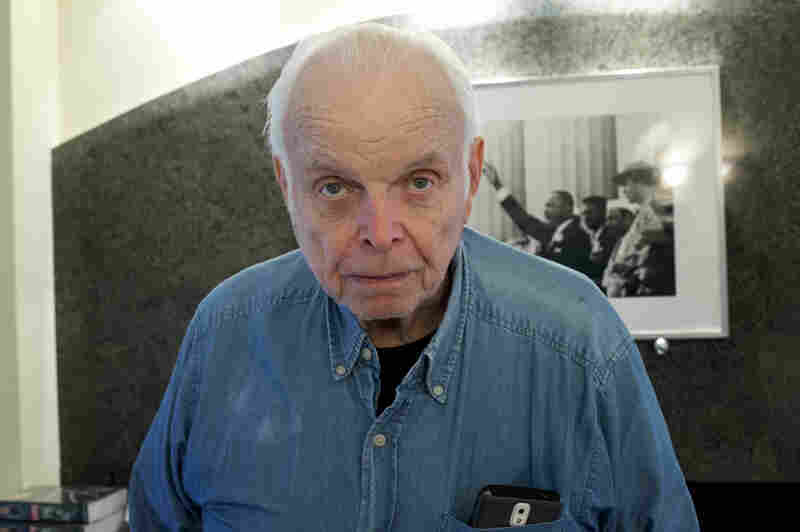 Bob Adelman, Who Photographed Iconic Civil Rights Moments, Dies : The Two-Way His photos appeared in national newspapers and magazines. But Adelman was an artist and activist first. He was a part of the civil rights movements. 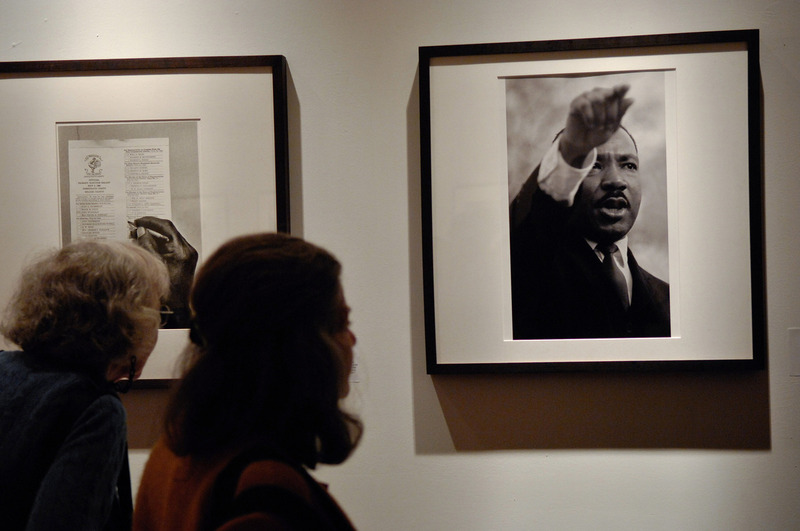 Attendees view Bob Adelman's photography exhibit at the Westwood Gallery in New York City. When Martin Luther King Jr. made his "I Have A Dream" speech at the Lincoln Memorial in 1963, Bob Adelman was standing just a few feet away with a camera to his eye. From the March on Washington to Dr. King's funeral, he captured some of the most iconic images of the civil rights movement. The photographer was found dead on Saturday in his home in Miami Beach. Ernesto Rodriguez, a spokesman for the Miami Beach Police Department, said his death is still being investigated. Bob Adelman stands in front of a photo of Martin Luther King he made during his days covering the civil rights movement. One of Adelman's best known photographs shows four civil rights activists holding hands. It was taken in Birmingham in 1963. The protesters were walking toward a confrontation with police officers who are using water cannons to clear the streets. In a 2008 interview with NPR, Adelman said those hoses were so powerful that they could "skin the bark off trees." "A single individual could not stand up [to the cannons]," Adelman said. "But as a group, they could. And it became emblematic. That picture was used actually as part of the recruiting for the march on Washington." Adelman was there for the lunch counter protests in Alabama and at Malcom X's funeral. His photos appeared in national newspapers and magazines, but Adelman was an artist and activist first. Bonnie Clearwater, who put on a retrospective of his work at the NSU Museum in Fort Lauderdale, says that made him unique. "He was part of the movement, so he had access into both big moments and intimate moments that most photo journalists wouldn't," she said. Adelman, who was white, said he became interested in African American life after watching Billie Holiday and Charlie Parker perform in the late '40s. When he heard about the student sit-in movement, he offered to help. In his interview with NPR, he quoted the author Ralph Ellision. He said that the black experience is part of the experience of all Americans. "Ralph emphasized in our conversations that a special sensitivity to African Americans was incumbent on all americans because this country was torn apart by the race question and resolved it in favor of equality," he said. Beyond the civil rights movement, Adelman photographed women's liberation and the gay rights movement. "He felt passionately about injustice and what could he do as a photographer to make change," she said. Ultimately, she added, Adelman "helped change the world with his photographs."